GraphTek™ Flexible graphite, plain or reinforced, available in sheets, laminate and rolls. Provides extreme heat protection, thermal dissipation, lubrication. 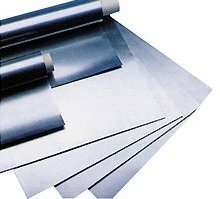 Graphite sheet provides a wide range of thermal capabilities from 950°F / 510°C up to 5400°F / 2982°C.